With specialist engineering, design and project management capabilities in each of our global offices, SKN approach all assignments with the same professional attitude regardless of size, location or complexity. Focusing on but not limited to, electrical and instrumentation projects, with extensive experience of both greenfield and brownfield oil, gas and petrochemical developments. Through our integrated range of support functions the engineering, design and project management team provide a comprehensive asset life-cycle service incorporating planning and assessment, design and engineering, execution, equipment testing, installation and commissioning, along with competent close out capability. Engineering services include construction management, lifting and installation studies, job-card and workpack preparation. SKN ensures every client has a dedicated project management team focusing on their priorities, making sure business objectives are met in a safe, cost-effective and timely manner. 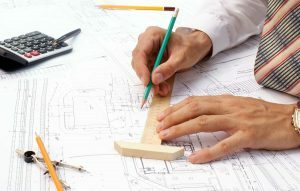 They deliver extensive design knowledge, are highly skilled AutoCad operators, as well as being proficient in interrogating and populating various computerised maintenance management systems including MAXIMO and SAP. Our objective is to bring projects in on time and within budget utilising project management professionals capable of combining detailed technical knowledge of project activities, such as contract administration, risk management and cost estimating, with a broad awareness of industry and business drivers.